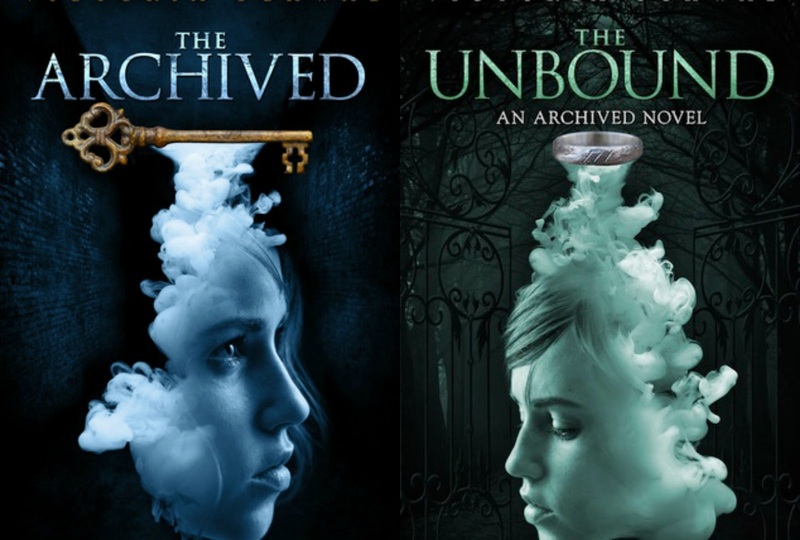 A couple of months ago, I finally dove into The Archived and The Unbound by Victoria Schwab. I had heard such excellent things about this particular series (especially from Kristin & Cee & Gaby), so I was a little bit nervous going into it. Fortunately, I found both novels to be really compelling reads! Instead of doing a conventional review, I'm sharing five reasons to read The Archived and The Unbound! I have to say that I’ve never encountered a world quite like this one, where there’s reality we all know and love and there’s also the reality that only a chosen few bear the knowledge of. It’s always extremely fascinating to imagine that there is more to our world than what meets the eye, and Schwab plays on that with her imagined world where the dead must be kept in order. The Outer is the real world, The Archived is the library where the dead’s histories (their lives in bodily form) are stored, and the Narrows lie between as a boundary between both and the place that a Keeper is tasked to visit to capture Histories that have woken up and wandered off. It’s a simple enough system, but Schwab slowly peels away the layers behind it and exposes the good and the bad as the novel goes on. Wes is one of those boys who steals your heart immediately when you meet him. He’s a good guy, who desires to do the right thing by the people he cares for and the world he loves. But there’s so much more to him than just being a mysterious guy who wears eyeliner (and wears it well). He loves literature and reading, he’s an excellent athlete and he’s got a group of friends that are practically his family. He takes his job as a Keeper super seriously, and it’s really sweet to see how he always wants to help Mackenzie and winds up falling in love with her. Obviously, Mackenzie is pretty badass since she’s been trained by her grandfather to be a Keeper for most of her life. She’s really smart, and she can handle herself in fights and tricky situations. But Mackenzie is also impulsive, which often leads to decisions spurred on by her feelings. And she has the habit of wanting to solve her problems on her own, an independent streak that does get her into some tough spots. But Mackenzie is a real fighter, and it is her determination to find out the truth and to protect those she loves too that really made me admire her. I also quite love that Schwab shows her being vulnerable after a traumatic event; it really humanizes her more than anything else could have. I honestly did not see a lot of things coming with this one, more with the second than with the first. It was very twisty indeed, and I liked that a lot. Obviously, I’d rather not spoil it, but suffice it to say that Schwab really knows how to tell a story. I was constantly wondering what would happen next, and even as things get revealed, more questions are also brought to the surface. It’s so great, you guys. You know what else is really great? Having book one and book two be connected but having each one still stand alone as a really great story. It is really brilliant, and not a feat many authors can accomplish. Honestly, what this all boils down to is Victoria Schwab’s writing ability. She knows how to choose the right words to convey a feeling, the right phrase to breathe more life into her characters and the right adjectives to describe the things she wants her readers to see. I was swept up into the steady rhythm her words offer right from the start and it didn’t let me go until the very end. Have I convinced you to give The Archived and The Unbound a shot yet? I hope so! These are two really great young adult novels, and I definitely would recommend reading them if you're in any way intrigued by any of the reasons I've shared above.